People now are changing their smartphone quite frequently as new flagship mode comes out almost every month. And it is convenient to sell the used phone online. However, you might not be aware of the fact that the default data wiping tool that came along with your phone, might not be enough for permanent deletion of personal data on your device. 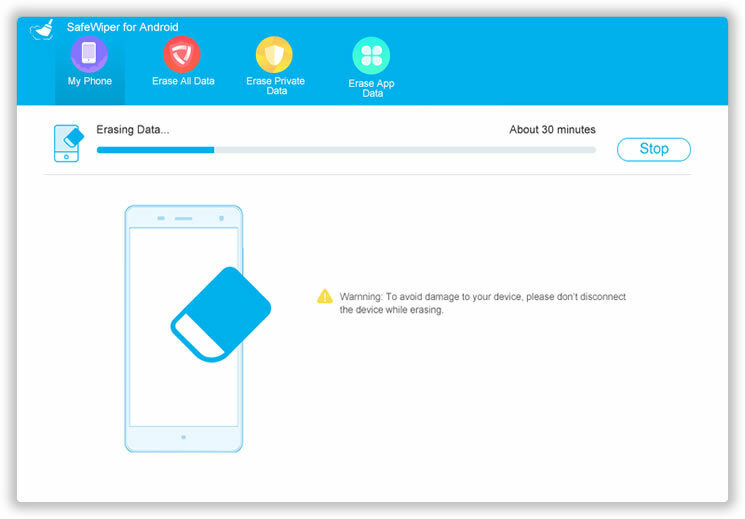 But, if you are thinking about wiping out the data from your device completely due to some reason, you can follow this tutorial and here are some details to help you in this regard. From a study conducted by the Security Software seller called Avast, it was found that the factory reset option shipped with Android phone in default will not be effective in complete eradication of personal data. This holds true, particularly when you own older versions of Android phone. Even though Avast and many other companies offer tools that will help with data deletion, there are other alternatives that you can choose to safeguard your personal data when you have to perform a factory reset. Experts recommend that you will have to encrypt your phone or tablet with Android operating system before you are actually ready to completely get rid of the data from your device. This process will jumble your data on the phone or tablet and even if the content is not wiped fully, a special key will be needed to read the data. To carry out this process, enter settings and then click on the security tab. Then, you will have to select the encrypt phone option. However, this option might be present in different places in different devices. Secondly, you will have to perform a factory reset to wipe out the data in your phone completely. In the case of stock Android, you will have to go to the backup and reset option to complete this process. This particular option can be found under the settings menu of your Android tablet or phone. The thing to remember here is that factory reset will erase all the data in your device. So, it is recommended to take a backup of important data and applications before you click on this particular option. Even though the above-mentioned two steps will be enough for most android users, but there is an extra step you can take. 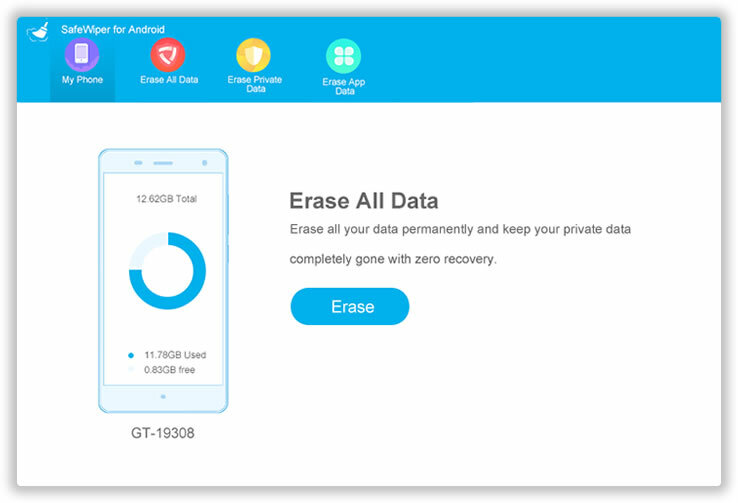 This step will make sure that you will get another layer of protection to your device when you are in the process of getting rid of your crucial data. During this step, you can try loading some useless contacts and photos on your device. Why this should be done? This will overwrite new data to existing data, making it hard to be recovered by special data recovery software. If you found the above tutorial is too complicated or don't want waste valuable time on this, then you can go through the following tutorial instead. There are some very smarter developers out there that they made some very good software at easing data on Android device. And Phone Transfer is the one of the best among them. 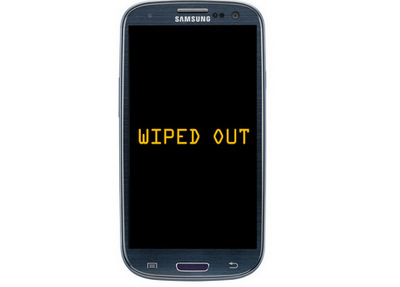 It utilizes the military-standard algorithms to wipe the device. Even federal agents can't get a single piece of data from your device. Tips: for iPhone users, you can use Safewiper iPhone Eraser instead. It has several options to completely erase private data on iPhone. First download and install this program on your computer. On startup, you will see 4 options listed on main screen. Select "Erase All Data ". Connect your phone to computer with USB cable. A minute later, the device should be recognized by this program and its name will be displayed on the main screen too. Type "delete" in the blank box to confirm you are sure to erase this phone. Finally, click "Erase" to permanently wipe this device. All the data stored in memory and external storage will be deleted completely. And there is no chance to recover them from now.